Is Mom Dating a Serial Killer? 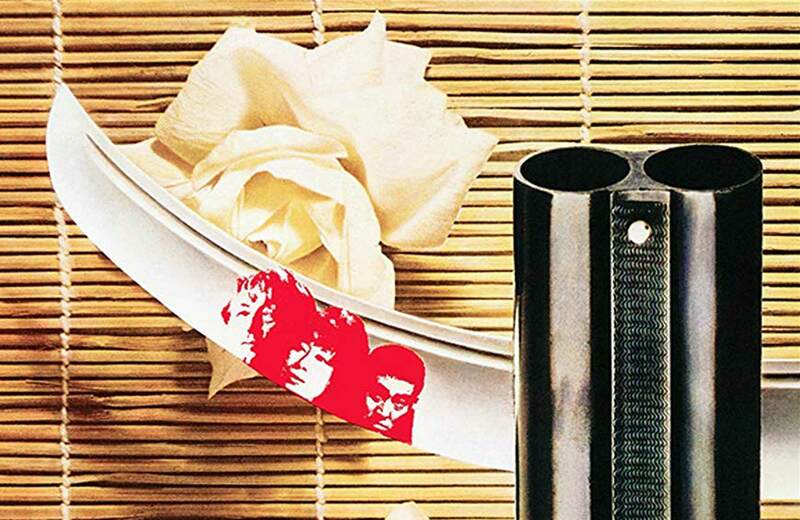 A grindhouse trio of deadly mysteries. For some teenage girls, the first Tuesday night of June would be spent lounging by a pool, but on June 6th at the New Beverly, the three plucky heroines of our Grindhouse TRIPLE feature will be fleeing from pools of blood! We’re gathering together three rarely-screened ‘80s horror dramas from three underappreciated masters of terror, all about every latchkey child’s nightmare, in an evening that will make you want to delete your parent’s Zoosk account. You could call our show the “Deadly Nancy Drew Mysteries” or the “New Bad News Daddies” or the “Is Mom Dating a Serial Killer” marathon! We literally start this night with a Scream for Help from 1984! Outspoken Christine (Rachael Kelly) has been directly questioning the motivations of her new stepfather Paul (David Allen Brooks) for some time, insisting he wants to kill her and her mother, but almost everyone dismisses her accusations. Paul, however, takes her very seriously, because she’s right! And as Christine steps up her investigation into his shady activity, and Paul ramps up his timetable to get them out of the picture, a lot of people are going to be dead and/or on fire before their fight is over! Writer Tom Holland had already been a modestly successful actor when he shifted course to write horror screenplays, drawing early raves for The Initiation of Sarah, The Beast Within, Class of 1984, and Psycho II. His screenplay for Scream for Help often feels like a dress rehearsal for his hit Fright Night, complete with a disbelieved suburban teen and an outwardly charming malevolent antagonist. Director Michael Winner, who previous helmed two Death Wish installments and the still-shocking The Sentinel beforehand, takes the action into extremely heightened territory that reportedly did not please Holland, but has added to the film’s legend since its initially modest release, seen mostly on home video. Though filmed mostly in England, exteriors were shot in New Rochelle, New York, in the same neighborhood where the real-life events of the comparably more genteel Disney comedy The North Avenue Irregulars took place. The memorable score was done by founding Led Zeppelin member John Paul Jones. 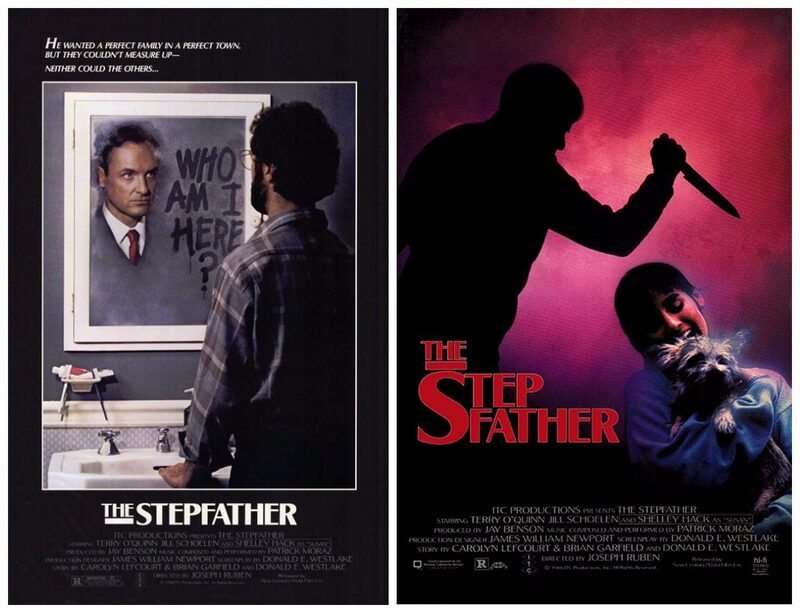 Next, from the moment Terry O’Quinn as Henry Morrison appears in 1987’s The Stepfather, we know he’s not into the hard work of making marriages last, since he’s busy cleaning up what’s left of the family he just killed! He seems to be having an easier time living as realtor Jerry Blake, married to pretty widow Susan Maine (Shelley Hack), but his stepdaughter Stephanie (Jill Schoelen) is still resistant to having him for a parent. Her deeper inquiries, coupled with the fervent pursuit of his ex-brother-in-law, starts exposing the frays in his whole cloth fantasy of the perfect family, and he starts making plans to “clean house” all over again. Terry O’Quinn had played supporting roles in Heaven’s Gate, All the Right Moves, and Silver Bullet before getting this leading role that made him a fantasy film staple. The performance garnered Best Actor nominations from the Independent Spirit Awards, the National Society of Film Critics, and the Saturn Awards, and led to memorable roles in the TV shows “Millennium,” “Alias,” and the massive hit “Lost.” Jill Schoelen would go from here to a strong run of horror film roles in Cutting Class with Brad Pitt, The Phantom of the Opera with Robert Englund, and Popcorn with Tom Villard. And just when you thought you already had a solid night of scares, you’d better call a trusted friend, because here comes our climactic third feature, Lisa from 1990. Katherine (Cheryl Ladd) had her daughter Lisa when she was just 14, and now that Lisa (Staci Keanan) herself is 14, their relationship is hardly on a Lorelai-and-Rory-Gilmore level. Lisa rebels against her mom’s strictures with her rowdy friend Wendy (Tanya Fenmore) by tracking down hot older men’s phone numbers and making flirty calls to them. When Lisa discovers and rings up handsome restaurateur Richard (DW Moffett), her talk gets more intense, as she alternately considers trying to woo him or pass him off on her mom. Lisa doesn’t realize Richard has a second gig as The Candlelight Killer, and he too likes making off-putting phone calls…to his victims. And sometime soon, he’s going to be tolling the bell for Lisa and her mom. Director and co-writer Gary Sherman, who previously made Raw Meat (aka Death Line), Dead and Buried, and Vice Squad, first got the idea for Lisa when his own teenage daughter balked at how he wouldn’t let her watch any of his movies. He told JoBlo.com columnist The Arrow, “She always complained that I only made films she was too young to see. So I started thinking about doing a film aimed at early and pre-teen girls. The mother-daughter relationship, and how it changed at puberty, had interested me…I also remembered my fears of serial killers from my own childhood…One of my most vivid childhood memories of growing up in Chicago was, when I was just a little boy, seeing a picture on the front page of the Sun-Times of the bodies of three other little boys who had been kidnapped and murdered. That photograph has never left me. I had nightmares about it for years and have never forgotten the feelings it raised in me.” Of his two teen stars, Staci Keanan went on to much less stressful entertainment, starring in the ‘90s sitcoms “My Two Dads” and “Step by Step,” and you may recognize her co-star Tanya Fenmore for playing a young Selma Diamond in Steven Spielberg’s segment of Twilight Zone: The Movie. Among the curious convergences within this triple feature: The Stepfather contributor Brian Garfield authored the original novel Death Wish, which Scream for Help’s Micheal Winner turned into a lucrative franchise; “Charlie’s Angels” replacement cast members Cheryl Ladd and Shelley Hack both play endangered mothers; and Scream for Help producer Irwin Yablans was the older brother of Lisa producer Frank Yablans! It may start getting hot outside, but this June summer Tuesday is going to chill you regardless of your age or parental status! Come spend the night with these too-crafty girls, too-trusting moms, and too-terrible boyfriends!